this poor half-witted creature told me, in a great fright, that thirty thousand French had marched from Acadie [Nova Scotia] to Cape Breton—“Where did they find transports? (said I)” “Transports! 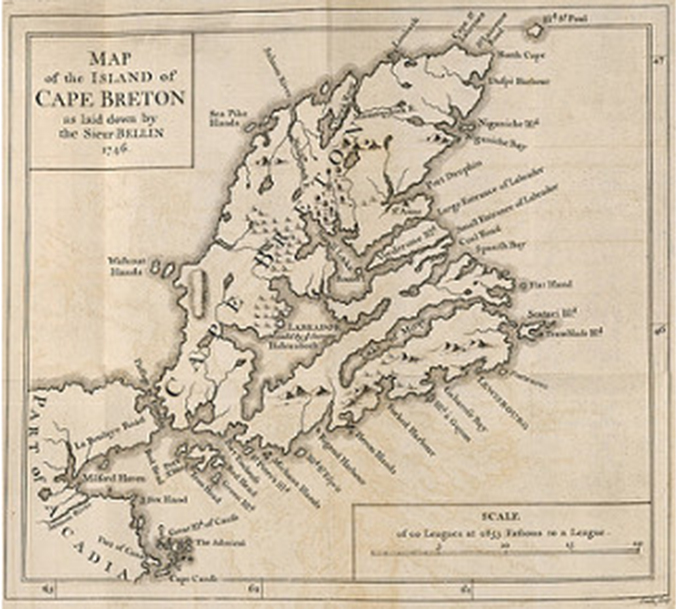 (cried he) I tell you they marched by land”—“By land to the island of Cape Breton?” “What! is Cape Breton an island?” “Certainly.” “Ha! are you sure of that?” “When I pointed it out in the map, he examined it earnestly with his spectacles; then, taking me in his arms, “My dear C---! (cried he) you always bring us good news—Egad! I’ll go directly, and tell the king [George II] that Cape Breton is an island. In truth, we don’t know if Newcastle read maps; such information is rare for this period, especially at the individual level. Nevertheless, as S. Max Edelson, University of Virginia Associate Professor of History, shows in The New Map of Empire: How Britain Imagined America Before Independence, examining the historical record where we can shows the British view of the colonies’ future. 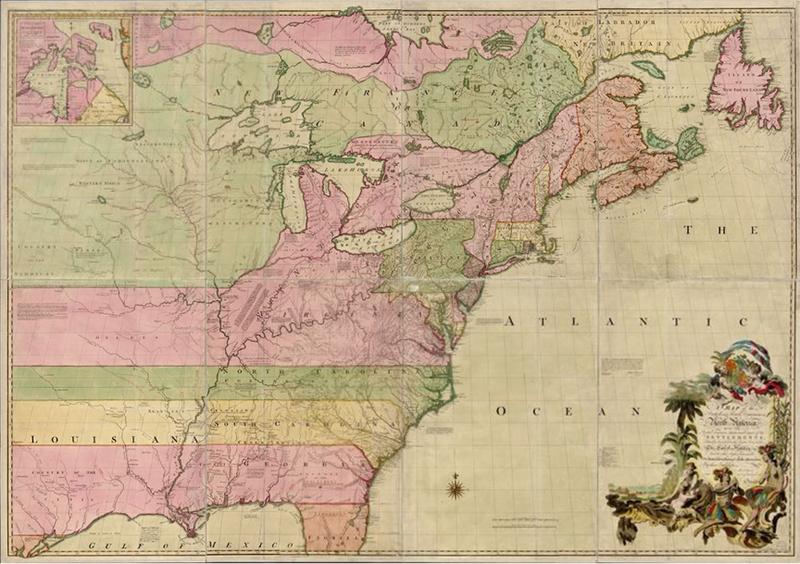 Geographical accounts of the American Revolution focus on tensions between different “kinds of spaces.” S.J. Hornsby, in British Atlantic, Atlantic Frontier. Spaces of Power in Early Modern British America, argued that the commercial, maritime, British Atlantic was in tension with the settler empire of “the American Frontier;” a tension that brought the intermediate eastern seaboard to the fore. Although seventeenth-century English merchants and proprietors were the original colonizers of New England, the Chesapeake, and Carolina low-country, they had lost control over the process of settlement to colonial farmers, traders, and craftsmen. Hornsby attributes this shift of influence from merchants to colonists to structural geographical factors, rather than political ones. In particular, the English merchants and proprietors were overwhelmed by the sheer vastness and enormous availability of agricultural land, and the related difficulty of managing their indentured English-worker labor pool. They were forced to outsource their colonial commercial enterprises to colonist management in some cases, and in others, to abandon enterprise altogether, thereby leaving a vacuum filled by the colonists. The result was the development of relatively autonomous economies in North America. Moreover, the American interior provided colonial élites with a “much greater geographic context in which to maneuver than existed on the islands of the British Atlantic,” with such maneuver seen as a way to limit British power. Viewing the historical record this way makes it too easy to read from geography to determined outcome. The frontier economies were not self-sustaining; their need to secure trade routes and supplies made them heavily dependent on transoceanic politics and economics. Explanatory accounts for the Revolution that focus on geography and causation must acknowledge that the latter cannot be traced to a singular process and outcome. Some colonial economies, for example, were linked more closely with London than with one another. Yet it is also necessary to understand political geography’s major role in American independence, and its particular significance for imagining and defining new political entities, both as states and as communities. Hornsby’s claim that “[t]he fracturing of empire was along structural faults embedded in the continent’s evolving human geography” might go too far, but these faults were there, and seeing them through colonists’ eyes can shed light on the Revolution’s causes. Although the West Indies faced their own tensions over Crown policy, notably their strong opposition to the 1763 Stamp Act, they never rebelled. In part, their acceptance of British rule was a result of their dependence on the Crown for protection from nearby French and Spanish colonies and armies. 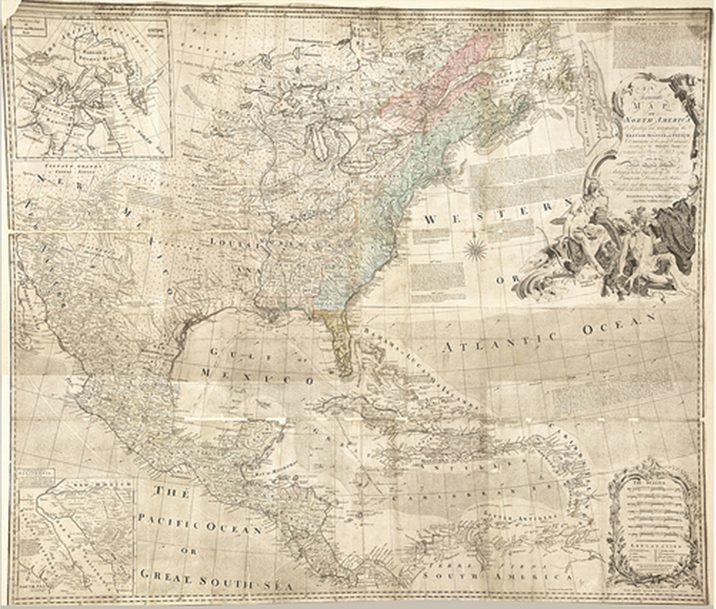 Edelson focuses on mapping after the Seven Years’ War. 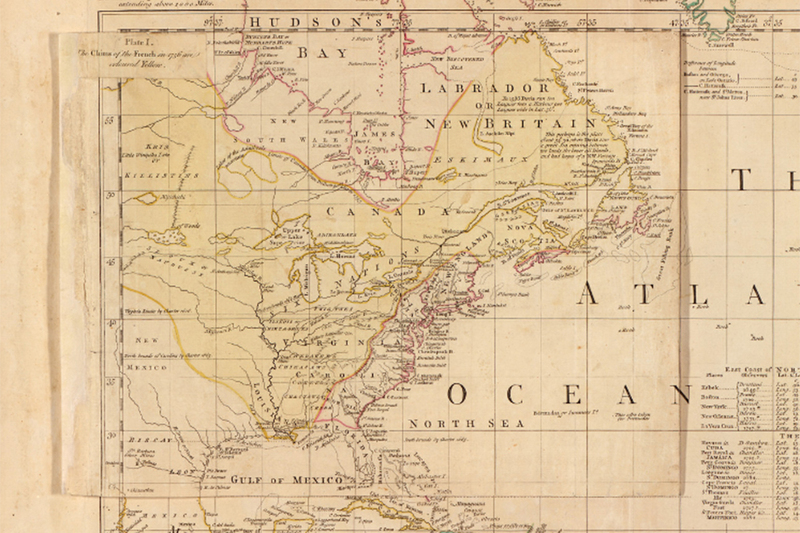 From 1764 to 1775, the Board of Trade sponsored a scientific and systematic mapping program—the General Survey of British North America—commencing with the territories recently acquired: Canada from France and Florida from Spain. Maps sufficiently scaled, detailed, and accurate were critically important to administrators when deciding town placement, infrastructure and defence works, and landholding boundary demarcation. Moreover, since these colonies were now part of British North America, they had to be reimagined and relocated. As part of the General Survey, Samuel Holland mapped Prince Edward Island by subdividing it into sixty-seven lots, which were given away by lottery in 1767. Holland’s map, which was published by William Faden, a major London map-publisher, showed the island divided into counties, parishes, lots and coastal harbors, with an inset indicating the island’s continental position. A supplementary map, displaying new settlements and roads, followed in 1798. 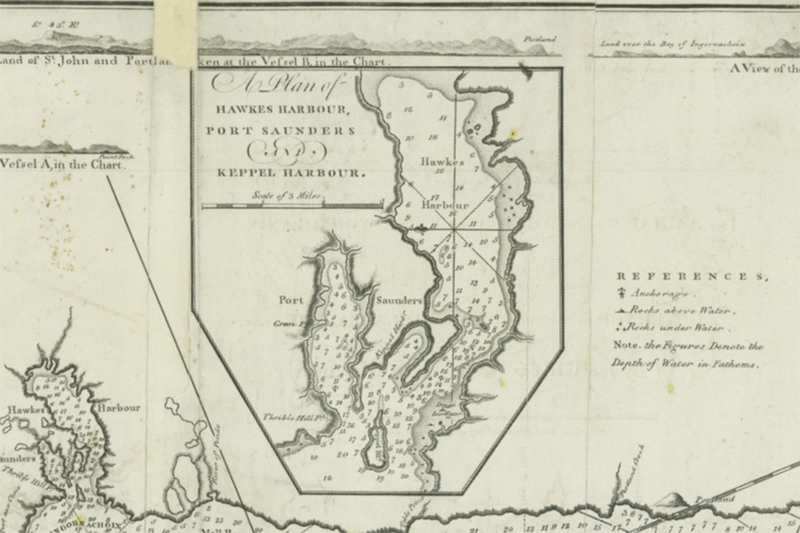 Captain James Cook, who had played a role in the successful operation against Québec in 1759, learned some of his cartographic techniques from Holland, and later used them in mapping Newfoundland. To Edelson, the Board of Trade’s vision for American empire required generating a new geographic record of British America, one that discouraged expansion into an interior inhabited by American Indians, offering instead a static, prosperous future confined to the Atlantic coasts. Establishing a new American state, however, demonstrates the role geographical perceptions play in asserting and defining nationhood, and specifically in demarcating and communicating a sense of place and its possibilities. 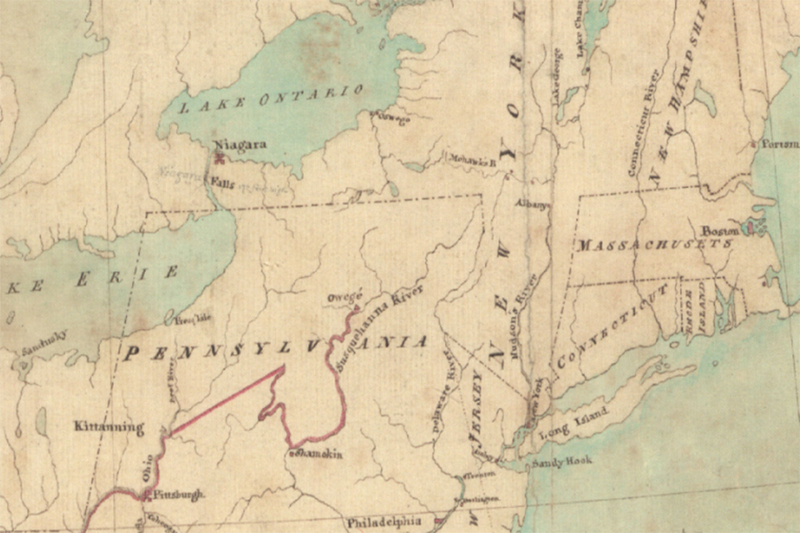 For British Americans prior to independence, geographic ideas shaped North America into a coherent whole. Geographical ideas helped justify a sense of difference and so contributed to an incipient American nationalism. This sense made British rule of the North American colonies appear alien, or at least opened it up to being employed to that end. The notion that geography had somehow bound the mainland colonists together had gained credence by 1774-5. North American identity did not exist pre-contact; while scattered Indian tribes occupied some of the continent, their knowledge of each other was limited and they had no global context in which to place themselves or the land. As a result, “North American” as an idea and identity, and indeed America as a whole, owed much to the conceptual process by which the British arranged the world. Nevertheless, there were competing geographies, particularly those among the merchant classes that maintained strong trans-Atlantic links, and those that came about from potent and violent tension and competition between and within the colonies. Had the Revolution’s outcome been different, these might have become more prominent. In effect, the same tensions lead the colonies that became Canada along a very different historical course from the thirteen colonies that became the USA. This difference was further entrenched when American expansionism at the expense of the Canadian colonies failed in the War of 1812. The protean, unfixed nature of North American geopolitics was repeatedly apparent until the settlement of Anglo-American differences in 1871. There is considerable evidence that geographic awareness helped construct the new American identity. The colonies were a set of disparate localities, which lacked a consolidated national sphere or unified economy. Their political views were sectional, and American regional presentations reflected this sectionalism. Sectionalism played a major role in divisions over the incorporation of new territory into the United States. There was also tension between an advancing frontier creating new territory to incorporate—politically, economically and psychologically—and strong existing views of country and people, state, and nation.